Zoe Modgill has been our go-to Instagram fitness blogger whenever we’ve needed motivation (or more like a push off the couch) to get started on our summer body goals. You can catch her doing everything from crazy bodyweight workouts in lush green parks to exercises right by her bed—it’s an adrenaline-filled virtual tour. Coming back to the ‘real’ world, she also owns Studio 60–which was previously in East of Kailash and has now moved to The Manor—a bigger and better Studio 60, if you will. They’ve got the sort of energetic environment that’ll have you reaching your fitness goals in no time. 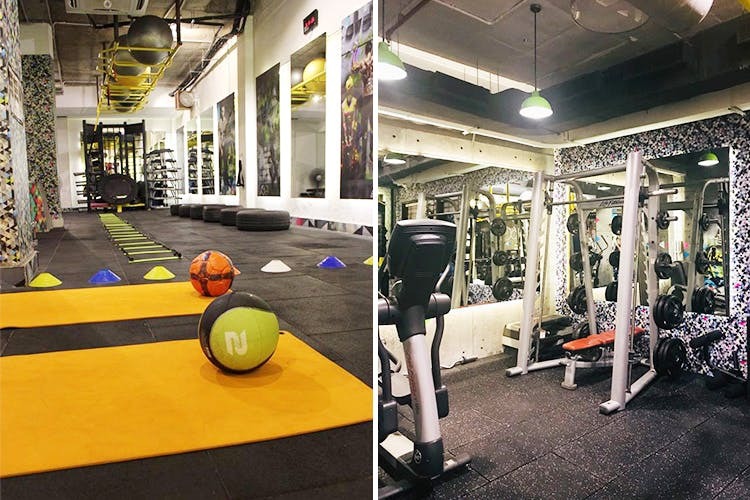 They offer group fitness classes, spinning classes, and personal training under some of the best pro trainers (including Zoe) that you’ll find in the city. Their classes are specially created by their team, and are usually a combination of all kinds of fitness movements—think cardio, strength, flexibility, endurance and skill. You’ll be doing everything from handstands to HIIT. They even offer special yoga, kickboxing, and Les Mills Bodypump classes. Got a workout buddy you can go here with? Days & Timings: Tuesday to Saturday—7am to 9pm; Sundays—8am to 8pm (Mondays off) Price: INR 5,400 for 12 classes in a month (exclusive of taxes) Additional services: Showers, lockers, and valet.